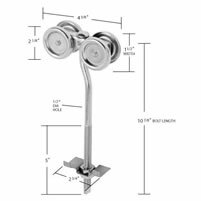 This economical, yet built for durability, one-piece apron door strap hanger is laterally and vertically adjustable. 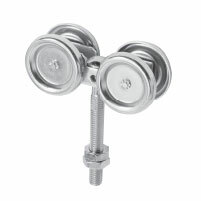 Comes with bolts for attaching door straps; supports door up to 400 lbs. 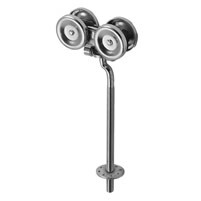 Same as above with ball bearings. 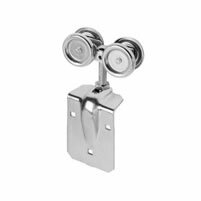 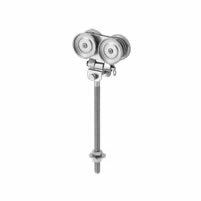 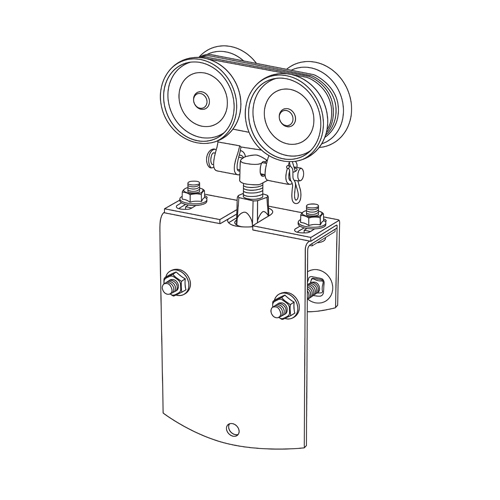 This ball bearing apron hanger has vertical and horizontal adjustments. 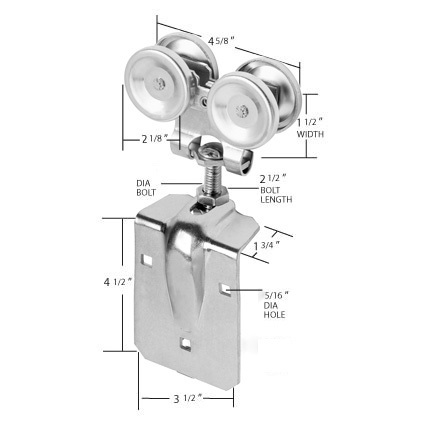 Flexible coupling between hanger and drop straps assures door will hang plumb. 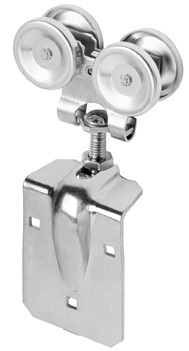 The connecting pin allows the drop strap to be mounted to the door before hanging, when required. 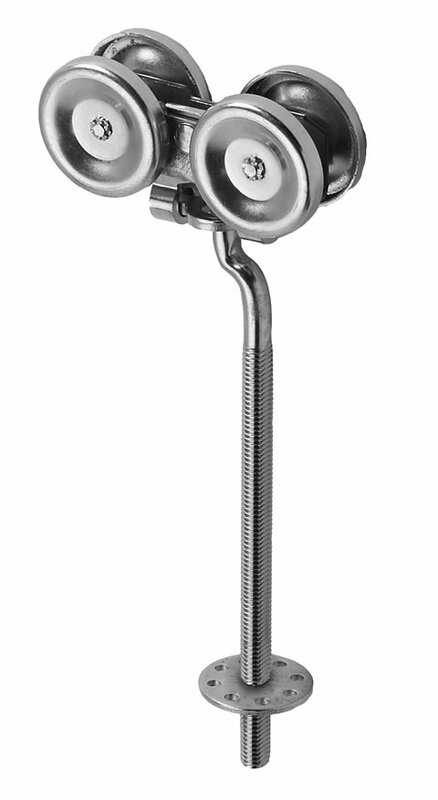 Vertically adjustable with a rigid bold. 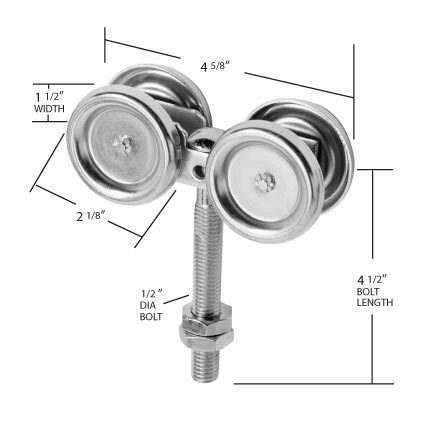 Bolt is 1/2" x 4-1/2" with 2" thread and two hex nuts. 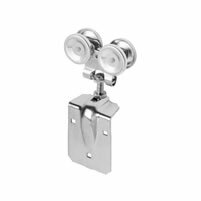 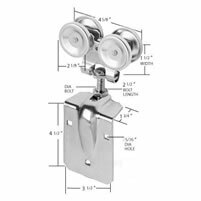 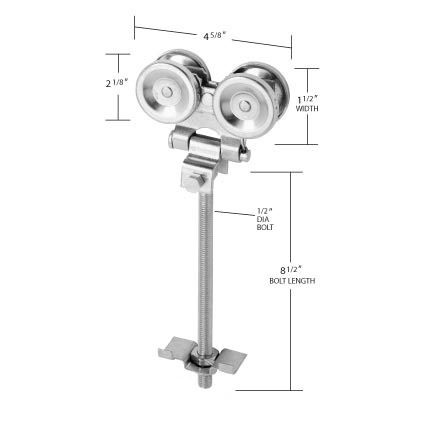 This one-piece apron door strap is laterally and vertically adjustable with a rigid 1/2" x 4-1/2" straight bold, ball bearings and 6 - 5/16" x 2 1/2" carriage bolts. The drop bolt installs vertically through the top frame member (wood or metal) of the door. 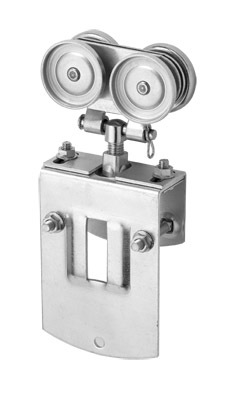 This ball bearing trolley has vertical and horizontal adjustments. 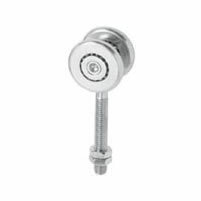 The horizontal adjustment bolt is easily accesible after installation. 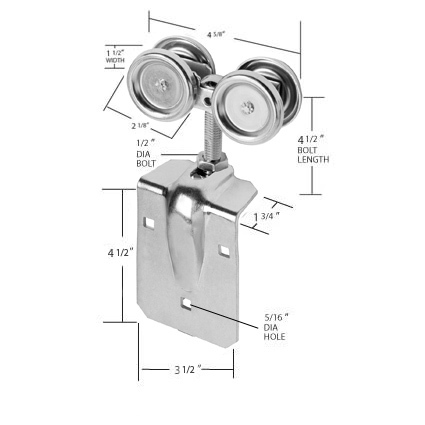 The connecting pin allows the drop bolt to be mounted to door before hanging, when required. Popular bolt-through design speeds installation. 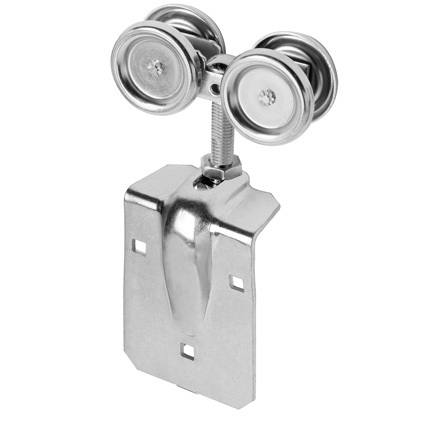 Long 1/2" x 10" offset bolt can be used with a variety of door materials, and utilizes Western's original girt clip. 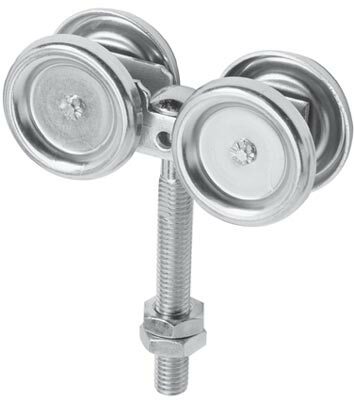 This offset bolt offers a lateral adjustment and generous vertical adjustment. 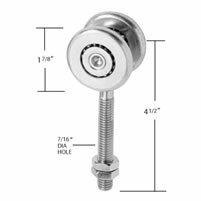 This 1/2" x 9" offset bolt has two flat sides milled into the bolt for use with Western's "Easy Lock" Door System. 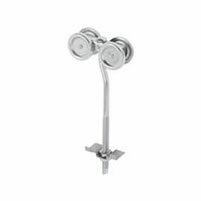 The special washer has 8 holes in it for easy adjustment for locking system in place (with a self tapping screw) once all adjustments have been made. 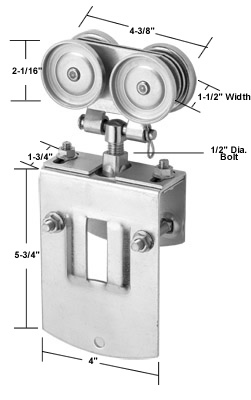 Designed for the woven wire industry, this two-wheeled ball bearing trolley features a 1/2" x 4-1/2" bolt for easy adjustment vertical with two flat spots machined into the bolt.